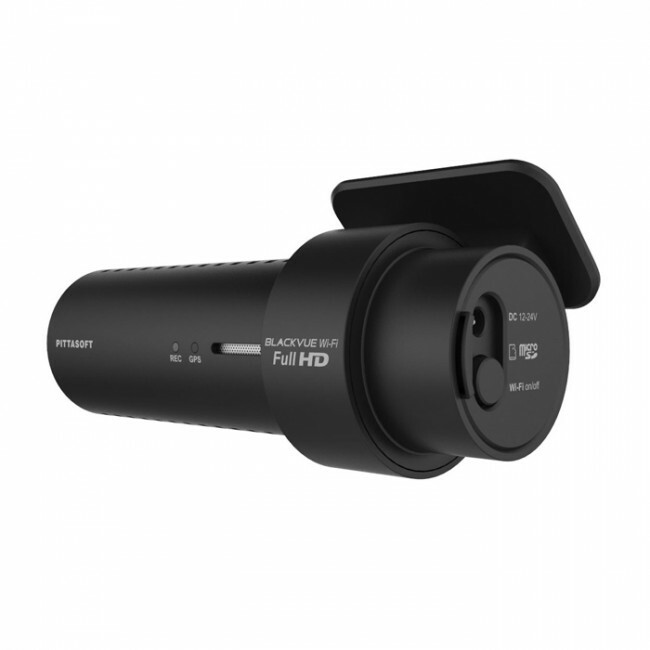 The DR650S-1CH is the latest front only camera from BlackVue. This camera records in 1080P Full HD @ 30FPS and features built-in GPS and Wi-Fi connectivity. Please note that this package comes with a 16GB Micro SD card as standard. HD quality video (1920 x 1080) at 30fps. Wifi enabled to connect to a mobile app. Supports microSD cards up to 64GB. 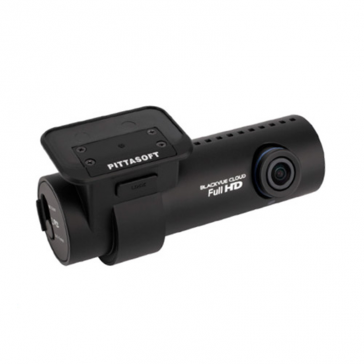 The BlackVue DR650S-1CH is the latest 2016 Full HD 1080p at 30 frames-per-second in-car camera with built in GPS and wifi. 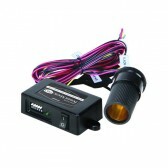 Following on from the success of the DR600GW dashcam it is of similar design and build. 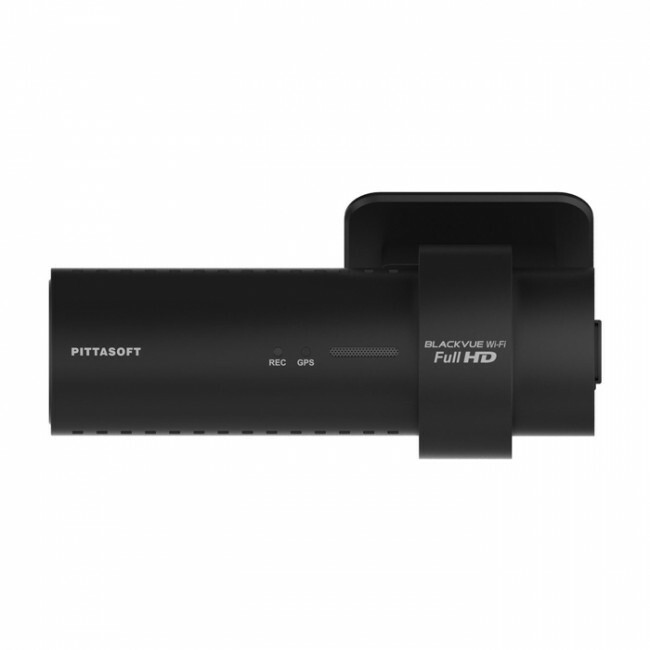 With BlackVue’s signature horizontally-mounted cylindrical form, it's exclusive ring bracket which is now all black for added stealth and allows the dash camera to lock into position and rotate freely. The BlackVue DR650S-1CH has built-in GPS, tracking vehicle location and speed with 3 Recording modes – Normal Mode, Event Mode (3-axis) and Parking Mode (Motion+3-axis). With a new improved 2.4megapixel Sony Exmor CMOS camera as well it retains the built in wifi function which enables you to access and transfer video easily to your smartphone or tablet device. The BlackVue DR650S-1CH dashcam has an internal G-sensor, detecting vibration, collision, and abrupt deceleration turning your BlackVue car camera into your own personal real time surveillance assistant. The BlackVue app is now available for Android, iPhone and Windows 8 allowing users to play live or recorded BlackVue videos via a smartphone or tablet PC via Wi-Fi connection anytime anywhere. The BlackVue DR600GW still retains all the main functions such as parking mode, voice messages, 3G sensor (shock sensor) and can now support SDXC Micro SD memory cards up to 64GB as well. Note: For parking mode to be effective over sustained periods the camera requires a continuous electrical feed while the ignition is turned off. Add the BlackVue Power Magic if required. I fitted this camera myself. It came with a 4M cable which was more than long enough. The camera is very well made and very discreet when fitted. The specification is the best i have seen. All in all a very good product at a reasonable price. I just want to make it clear that I have no connection with Carcamerashop when I say that their customer service is second to none. It’s been a pleasure to deal with the company – in particular the director, Andy. I highly recommend them. As for the DR600GW - it is a great quality camera . It’s physically a little bigger than I expected. There are a couple of niggles with it – the app isn't designed well at all - it really needs to be more intuitive (and I have read on the Google play app store that it struggles with the latest ‘lollipop’ version of Android o/s in March ‘15). Also, the video does buffer every few seconds when loading and playing back the stored movie files. I’m sure these issues could be sorted with a firmware update/ app update in the future. However, once it’s working, it’s a great idea to have the playback on a far bigger smartphone screen than the ‘mini 080*’ type design dash cameras where the 1.5” screen of these makes ‘quick reviewing’ of clips very difficult to see. The positioning of the camera/mount was also made easier with the ‘live view’ feature of the app – using your phone’s screen to get the best angle before committing to fixing it on your windscreen. The app was probably the most important selling feature of this unit for me. Once connected via wifi / app, the setup is fairly straightforward - if a little time consuming - with experimentation needed to get the settings right. The image quality is superb. Also, the GPS speed display does seem stable and accurate (it reads virtually the same as my Sat Nav’s speed display). The one feature that does make this camera stand out from other makes is the build quality – it really is excellent. From the positive ‘click action’ of the rotating mount to the supplied memory card and usb converter, the quality power lead and cable clips (& even the box it came in...!) – Blackview have made a very classy camera indeed. It’s easy to see why this is a more expensive camera than others. The one button design is simple to use and the LED’s are not intrusive. Once I covered the very small white ‘Pittasoft’ letters on the mount in black electrical tape, it is really ‘stealthy’. The ‘voice prompts’ can also be disabled. It lacks a ‘user store button’ for when you might need to save a clip without the auto-saving ‘impact sensor’ triggering a file save, but I found that just tapping the unit (ie simulating an impact) will force a clip to be saved. Overall I am very impressed with the Blackview DR600GW and would definitely recommend it (and Carcamerashop!). At this time, Windows 10 is not supported. The app claims it's supported but looking at the reviews it appears many people are having issues with Windows 10. This will change but right now, it's not fully supported.